Rainbows have been learning about how and why animals play hide and seek! They discovered that many animals try and hide in order to watch their prey ready to attack! They also found out that animals like to hide in order to not become another animals dinner! We decided to show what we had learned by using a collage technique. 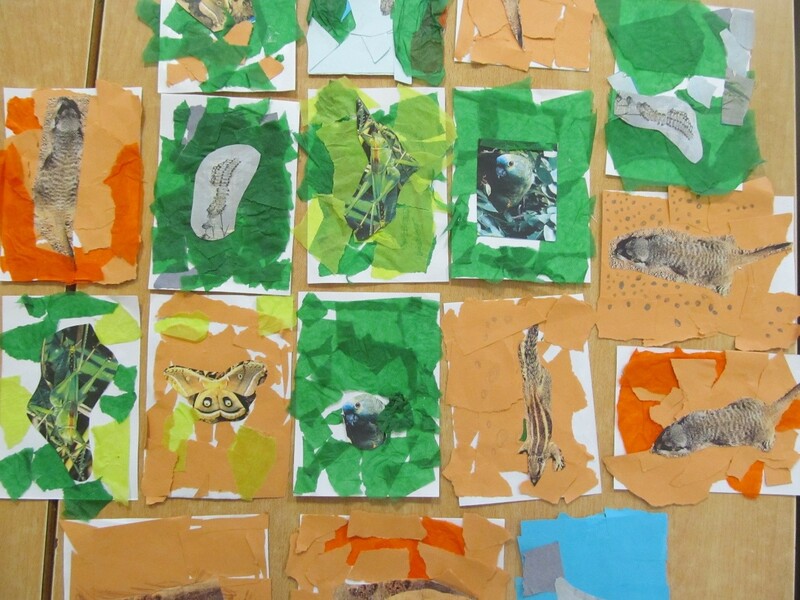 The children chose an animal and then created a collage background for it to play hide and seek. Lots of fantastic conversations were had about this learning which led into food chains. 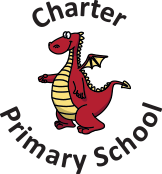 Rainbows look forward to talking about food chains in their sharing assembly which is coming up. 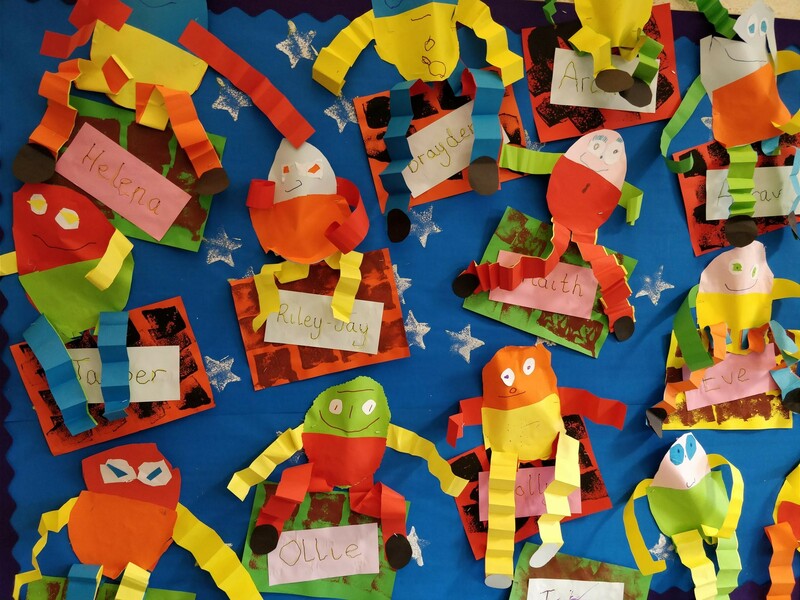 Sunshine class have enjoyed creating a range of art work for different nursery rhymes. Here are our Humpty Dumpty’s’. Hurricane Class has researched how jewelry was designed and made in Anglo-Saxon Britain. We could access bronze, silver or even a forge – so we decided to use more modern resources to make our very own Saxon style brooches. They are representative of the colours and designs from the era and look magnificent.